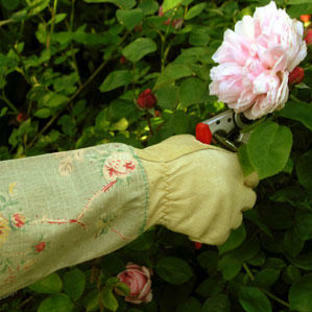 Great for flowers or veg. 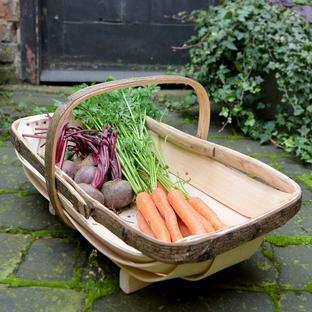 Practical and stylish way to harvest your vegetables, collect your eggs or even your knitting wool! 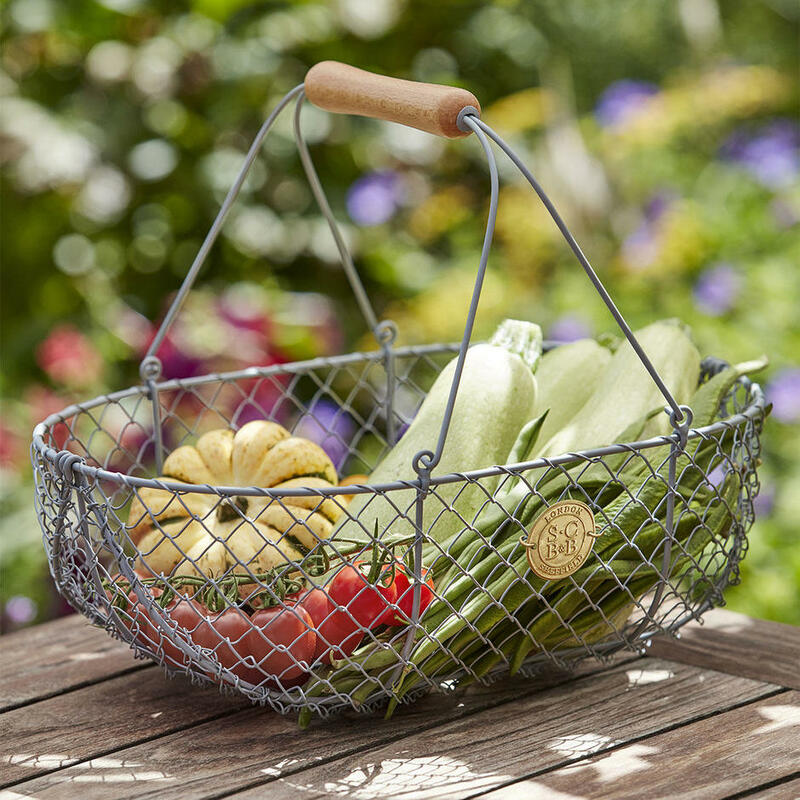 Attractive, handcrafted traditional style harvest basket in a grey powder-coated finish. 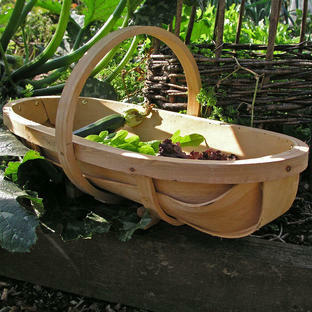 With a beech wooden handle for comfort. 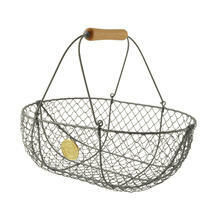 A smaller harvesting basket is also available in cream, see here. Steel wire basket with powder-coated finish. Beech FSC wooden handle.